Italy boasts some of the most spectacular locations for concerts. Just think of the arena of Verona, for example. In our part of the world we have the amazing pastures around rifugio Rossi just below the Pania Della Croce Mountain where we’ve heard wonderful music caught like a giant’s hearing trumpet placed among the stratospheric views above 5,000 feet. The Lucchesia’s wealth of historic churches, abbeys and cathedrals also provide stunning locations. However, even these sites did not prepare us for the simply heavenly setting at Pieve a Elici where the AML (Lucca music association) is holding a series of chamber music concerts. The ancient Romanesque Pieve dedicated to San Pantaleone (Pantaleon – a fourth century saint beheaded under Diocletian) and dating back to the ninth century is poised on a ridge with views on one side extending over the Apuan Mountains and, on the other, over the Tyrrhenians Sea and Lake Massaciuccoli. Its chief glories in the triple-naved interior are the marble triptych by the Riccomannis showing Saint Pantaleone with Virgin and child and St John the Baptist, dating back to 1470, and a fourteenth century fresco of the Virgin and child. The combination of an exquisite, quite isolated Romanesque church, the alternate panorama of sea and mountain and a string quartet of the highest quality, the Quartetto di Cremona , playing music seemingly transmitted by God to some of the greatest composers this planet has ever witnessed, made for an evening we shall never forget. 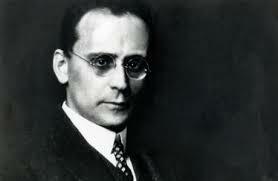 Both halves of the programme started with a piece by Anton Webern. The first showed Webern in his late romantic phase and was passionately played by the quartet normally consisting of Cristiano Gualco violin, Paolo Andreoli violin, Simone Gramaglia viola and Giovanni Scaglione violoncello, but whose second violin had to be replaced at the last moment because of an injury (not too serious fortunately) to Andreoli’s hand. This entailed a slight change in programme, but what a change! Instead of the joyous tones of Mozart’s K428 string quartet we heard the astonishing searchings of the introduction to his Dissonance quartet, another of the six dedicated to Joseph Haydn whom Mozart described as the spiritual father of the quartets. 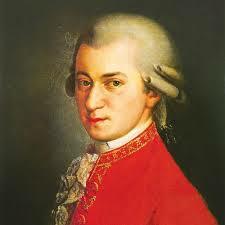 It’s worth quoting Mozart’s dedication in full as it shows just how much care he lavished on these works. The commonly held belief that music just flowed out of Wolfgang and all he had to do was to write it down is particularly mistaken in this case! A father who had resolved to send his children out into the great world took it to be his duty to confide them to the protection and guidance of a very celebrated Man, especially when the latter by good fortune was at the same time his best Friend. Here they are then, O great Man and dearest Friend, these six children of mine. They are, it is true, the fruit of a long and laborious endeavour, yet the hope inspired in me by several Friends that it may be at least partly compensated encourages me, and I flatter myself that this offspring will serve to afford me solace one day. If that isn’t modesty I don’t know what is! 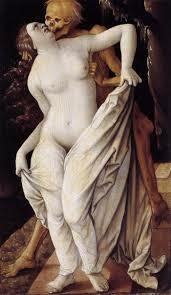 The Cremona’s performance of this almost atonally starting work was fully worthy of its greatness. What I particularly enjoyed was the attention given to the rhythmic impulse in the music without in any way detracting from its intensely lyrical moments, especially in the slow movement. The players were beautifully balanced and, beneath the seeming easeful flow of the music, Mozart’s virtuosity in counterpoint could be fully heard. It was a very different Webern we heard starting the second half. The six bagatelles from 1911 showed just how far he had progressed from late plush romanticism to epigrammatic dodecaphony. Each bagatelle was almost like a haiku expressing so much in so little. (Webern’s full output could easily fit into two CDs.). I don’t know how this change in style and technique could have happened in a space of just a few years. I would really need to know more about such a radical change that prepared the way for the second Viennese school. Strangely, although I know this piece well, I’ve never heard it live and was quite unprepared for the intensity of interpretation in those magnificent variations which rise to an almost unbearable climax before subsiding into transcendent resignation. The ability of the Cremona quartet, even with its replacement, to capture the contrasting moods was breath-taking and equally breath-taking was the now myriad-lit view of stars above us and Viareggian lights below us as we made our way back home. This entry was posted in Event, Music, Tuscany by Francis. Bookmark the permalink.